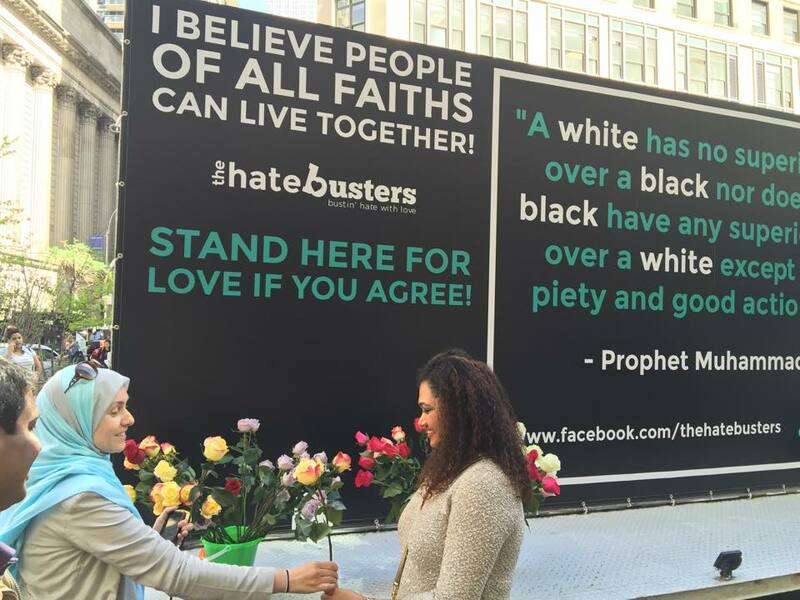 The Hatebusters, a national anti-islamophobia campaign, believes that hate can be neutralized with love. 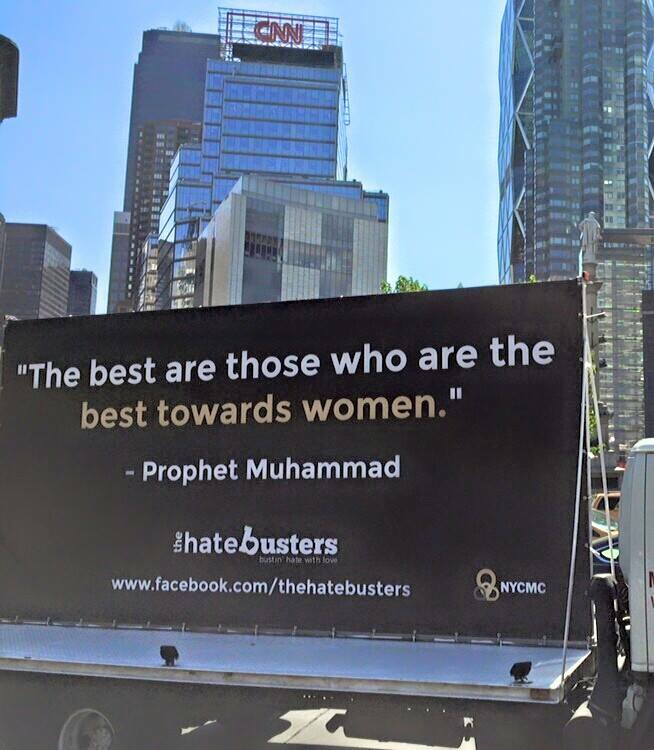 We use Hatebuster Trucks & Hatebuster Heroes to show the world what true Islam is! 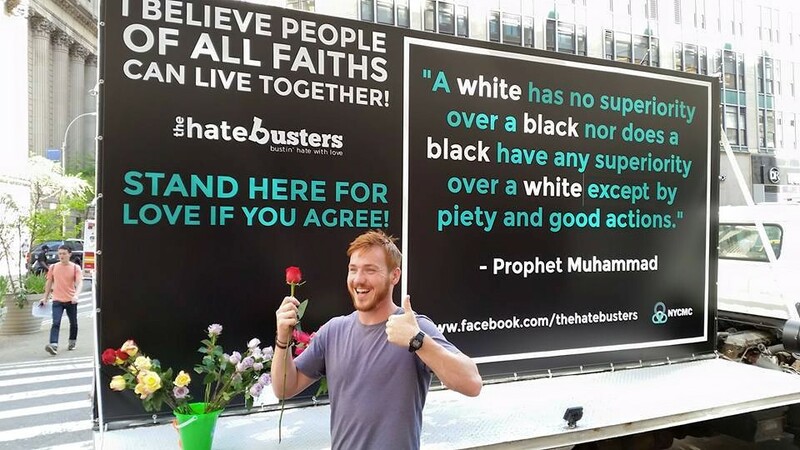 Hatebuster trucks have a mission of bustin' hate with love on the streets. These amazing mobile trucks, packed with loving and insightful messages, drive for up to 10 hours a day to clear up misconceptions about Islam! Hatebuster trucks are placed in the biggest and most populous cities in America. 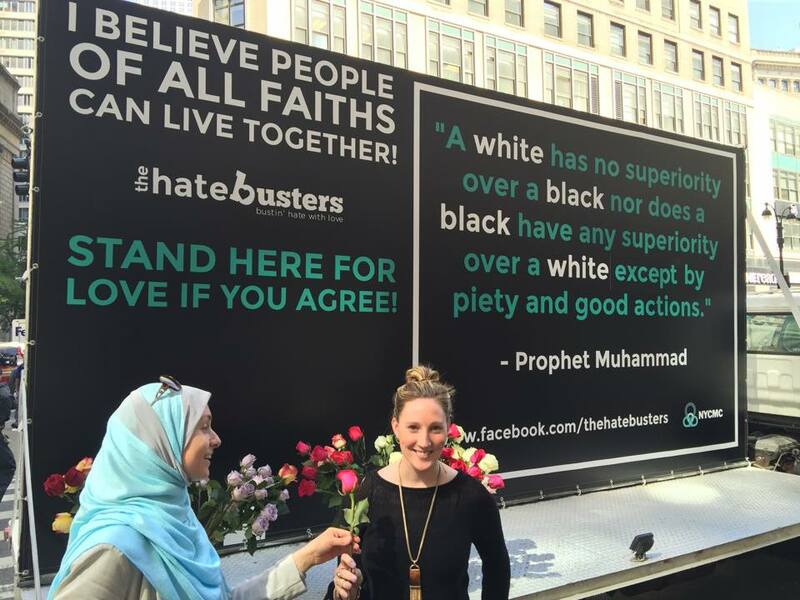 From New York City to Chicago to Los Angeles, Hatebuster Trucks catch the attention of many people while spreading love! Hatebuster heroes are trained volunteers that ride along Hatebuster Trucks to engage the public and clarify misconceptions about Islam!